The Carbon Transparency Initiative (CTI) is a new project of ClimateWorks Foundation that seeks to create a transparent and granular current development scenario based on current policies, decarbonization trends, and energy related investments. It uses an ‘open source’ indicator-led methodology based on fundamental analysis of a small number of underlying drivers that shape emission trends and reveal progress toward building a low-carbon economy. Models have been built for China, the European Union, India, Mexico and the United States. Less detailed analysis for the rest of the G20 countries are being included through a partnership with the Climate Action Tracker. CentroClima was founded in 2000 through an agreement between the University Institute COPPE and the Ministry of Environment. Since then, CentroClima has participated actively in the development of public policies and reinforcement of the national and international capacitation of diverse stakeholders regarding climate change mitigation and adaptation, with a focus on the elaboration of GHG inventories, development and analysis of mitigation scenarios, and adaptation plans of municipalities. CentroClima and the Brazilian Forum on Climate Change have led the IES-Brasil project in 2013-2015, a stakeholder’s driven scenario exercise to support the Brazilian INDC. Climate Analytics is a non-profit institute that brings together high levels of expertise in scientific and policy aspects of climate change. Its activities encompass: climate science including assessment of climate impacts, risks and vulnerabilities, and mitigation pathways; scientific, technical and legal support to Small Island Developing States and Least Developed Countries in the international climate negotiations, as well as in formulation and implementation of climate plans; international climate finance; climate tracking and analysing the progress of national climate policies against the objectives of the Paris Agreement, as part of the Climate Action Tracker. Climate Analytics was established in 2008 and has offices in Berlin/Germany, Lomé/Togo, New York/USA and Perth/Australia. ERI was established in 1982 as part of Chinese Academy of Science. It is now under administration of the National Development and Reform Commission (NDRC) conducting policy assessments for the Chinese government. The research teams in ERI provide technical support to the national policy making process on climate change and energy by drafting policies and action plans. ERI supported the development of the 1st and 2nd National Communication of China, China’s National Program on Climate Change, China’s commitment for Copenhagen and Paris (COPs), national climate change strategies and National Emission Trading Regime design as well as the assessment of a carbon tax for China. The Energy Research Centre at the University of Cape Town is a multi-disciplinary research centre with a focus on energy, climate and sustainability, and has done ground-breaking work on post-apartheid South African energy policy, on energy provision for the urban and rural poor and on the energy-environment nexus, and played a leading role in developing both South Africa’s current energy and climate policy frameworks. The ERC works closely with policymakers nationally (especially in the National Treasury, the Department of Environmental Affairs and the Department of Energy), with other national stakeholders and with an international network of climate and energy researchers on energy and climate policy challenges, as well as providing advice and negotiating capacity to South Africa’s national delegation to the UNFCCC. FARN is an Argentinian NGO, founded in 1985, and has a long history of environmental work in the country ranging from Environmental Law and Public Participation (since 1985), Biodiversity, Extractive Industries, Energy, and Climate Change. In terms of Climate Change, FARN is working on the monitoring of the Argentinian NDC process, UNFCCC negotiations, and has had an active role in coordinating regional studies for the Latin American Platform on Climate Change, CDKN, and the Regional Center on Climate Change and Decision Making. Germanwatch e.V. is a civil society organization with offices in Bonn and Berlin. Germanwatch is actively promote North-South equity and the preservation of livelihoods. 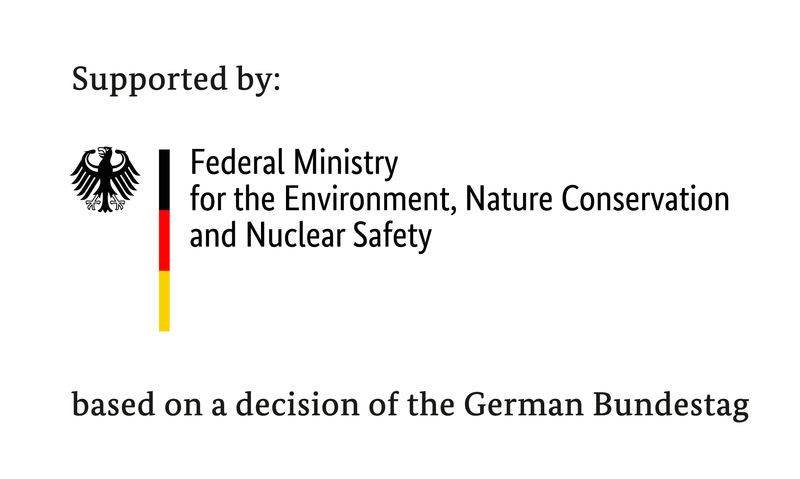 Together with its members and supporters as well as with other actors in civil society Germanwatch intends to represent a strong lobby for sustainable development. The Climate Change Performance Index is jointly published by Germanwatch e.V. and Climate Action Network Europe (CAN). It evaluates, compares and ranks the climate protection performance of 58 countries which are responsible for 90% of global energy-related CO2 emissions. Countries are evaluated based on emission levels, energy efficiency, renewable energy and climate policies. It has been produce annually since 2006. Iniciativa Climática de México A.C. (ICM) is a non-profit non-governmental organization founded in 2012. ICM’s experienced and knowledgeable team produces high-quality technical papers on the status of climate policy, power, and transport in Mexico, identifying trends and tendencies in these sectors. ICM has solid working relationships with different areas of the Mexican Government, the Mexican Congress, sectorial business associations, bilateral and multilateral organizations, and non-governmental organizations from the policy, energy and transport and mobility areas. IESR was established in Indonesia in 2006 and is working in the area of energy, climate change and extractive industries. IESR’s work includes the conduct of policy analyses, capacity building, and providing advisory services to to government agencies, non-governmental organizations and private sector in the areas of energy policy and regulation, international climate change negotiation and natural resources governance. IESR also implements renewable energy and energy efficiency projects. The Institute for Sustainable Development and International Relations (IDDRI) is an independent research institute dedicated to fostering the transition to sustainable development and prosperity for all. IDDRI identifies the necessary conditions for the integration of sustainable development into public policies and proposes tools for their implementation. It takes action at different levels, from international cooperation to the policies of countries, cities and businesses. IDDRI provides a platform to facilitate a transparent dialogue between all stakeholders (research and academic community, governments, civil society, private sector), while ensuring mutual learning and the relevance of its research. Its work is structured around four thematic agendas: Climate, Biodiversity and ecosystems, Ocean, Governance. 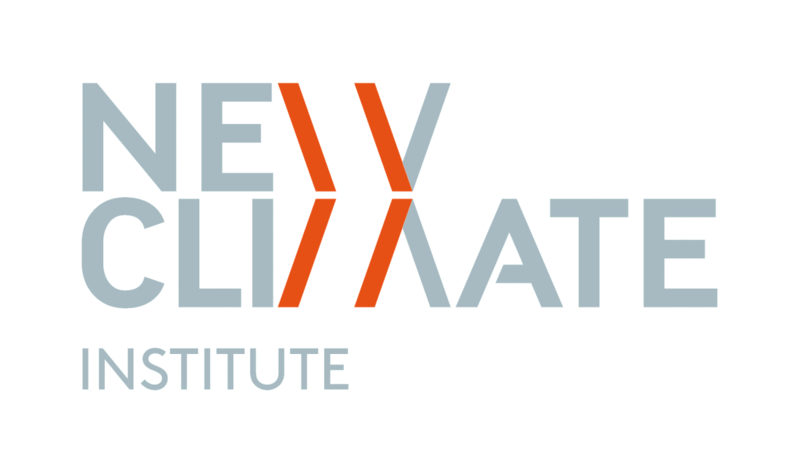 NewClimate Institute is a limited liability non-profit company (gGmbH) founded in November 2014. It supports research and implementation of action against climate change around the globe. NewClimate generates and shares knowledge on international climate negotiations, tracking climate action, climate and development, climate finance and carbon market mechanisms. The Climate Action Tracker is a partnership of Climate Analytics, Ecofys, the Potsdam Institute for Climate Impact Studies and the NewClimate Institute. It is an independent science-based group, which tracks emission commitments and actions of countries. It provides an assessment of individual national pledges of 14 developing, 14 developed countries to reduce their greenhouse gas emissions based on 2020 or unilateral pledges, current policy projections and INDCs. It has been produced annually since 2011. The Overseas Development Institute (ODI) is the UK’s leading independent think tank on international development and humanitarian issues. ODI’s mission is to inspire and inform policy and practice which lead to the reduction of poverty, the alleviation of suffering and the achievement of sustainable livelihoods in developing countries. The Climate Finance team at ODI conducts world-class research and delivers practical advice to support developing countries in their efforts to move towards low emission, climate resilient economies. Working in partnership with governments, international organizations, and research institutes, we inform and influence policies, practices, and public debate to promote the effective use of climate finance. TERI is a non-profit, scientific and policy research organization, working in India and globally in the field of climate change, energy, environment, water, biotechnology, forestry, as well as a range of sustainable development issues. The organization was founded in 1974 and over years it has created a dynamic and inspiring environment for developing innovative and cost-effective solutions for climate. It is one of the most strategically placed research organizations in India which has established and enriched relationships with the Government of India at national, and sub-national levels as well as with other stakeholders including Indian corporate sector, NGOs, financial institutions and other research organizations. TERI has been extensively working on issues of climate change including climate finance, transparency, MRV, technology and has provided inputs in activities that directly feed into the international and domestic climate policy discourses.